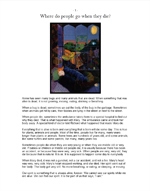 This is a sample story created for a young child with autism experiencing her first loss, in this case, of a pet. This story would need to be modified to fit the individual circumstances, family spiritual values, and beliefs for each situation. 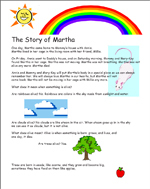 Thisis a sample story created for a slightly older child to help explain the loss of a family friend. As above, this would need to be modified to fit the individual circumstances, family spiritual values, and beliefs for each situation. These links are not specifically aimed at children with disabilities but may give us ideas to use with our children who do have developmental disabilities. Autism Speaks has compiled a list of books and resources to help caregivers explain death and loss to individuals on the autism spectrum. The resources teach the caregiver to understand how someone with autism might experience loss and grief and how to help them go through the process. Timeless wisdom from Fred Rogers for parents, caregivers and teachers.